Hip pain due to injury or other diseases (such as arthritis) are very common. 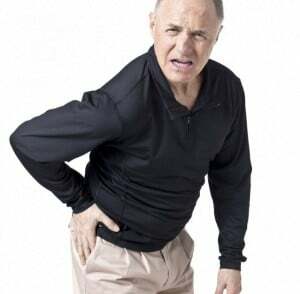 According to a research conducted by the American Academy of Pain Medicine, more than 70% of adults over the age of 60 in the United States complained of hip pain during the year 2015. With the passage of time, research predicts that percentage will increase. The absence of proper medical care for hip pain has further aggravated the problem. 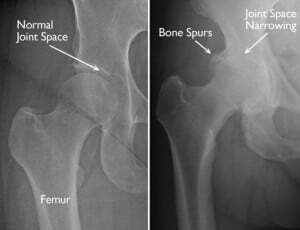 With more and more doctors prescribing total hip replacement surgery for even moderate joint dysfunction, finding the right therapy has become increasingly difficult. Of all of the joints in the body, hip pain is the most difficult to deal with since one relies on the hips for walking, sitting and even lying down every day. Traditionally, the treatment for hip pain encompasses long-term pain management as well as ongoing alternate therapies such as physical therapy if the problem is not corrected by a hip surgery. Surgery, combined with extensive medications and physical therapy, is the most frequently prescribed “cure” to resolve hip pain. We now have treatment options available that have proven to be as effective and many times more effective that hip surgery for some individuals. Hip replacement surgery is very traumatic and can lead to months of agonizing pain and discomfort, before any improvement can be observed, leaving patients at the mercy of heavy painkillers along with painful physical therapy to redevelop strength and restore mobility. At KC Wellness Center, we rely on blood platelets, PRP and stem cell procedures to provide a non-surgical treatment alternative for patients who are considering surgery to alleviate and resolve their hip pain. At KC Wellness Center, we help heal and alleviate a wide array of joint problems and symptoms without relying on complicated and painful hip joint replacement procedures. Our approach involves injecting the pain-stricken area with a concentrated dosage of the patient’s own platelet rich plasm or stem cells depending on the severity of the condition. This allows the body to heal naturally as the somatic cells have the ability to regenerate and rejuvenate the tissue in and around the joint. After the PRP or stem cells have been successfully administered, KC Wellness Center patients are encouraged to walk around the premises immediately following the procedure. Most of the patients report a significant improvement around their pelvic region and have no difficulty in walking in the days following the procedure. Why Choose KC Wellness Center? Although a powerful tool for treating joint disease, PRP and Stem Cell therapy is not a viable option for every condition. If you are considering a surgical procedure to treat hip pain, please call us to schedule a free consultation to see if you are a candidate for our non-surgical treatment options. If we cannot help you we will certainly get you to the appropriate doctor that can help you.